With a bullish momentum back-test in Alphabet (GOOGL) set up soon, we turn to the other side. Netflix has been the apotheosis of a momentum technology stock -- an one time innovator turned Wall Street darling. 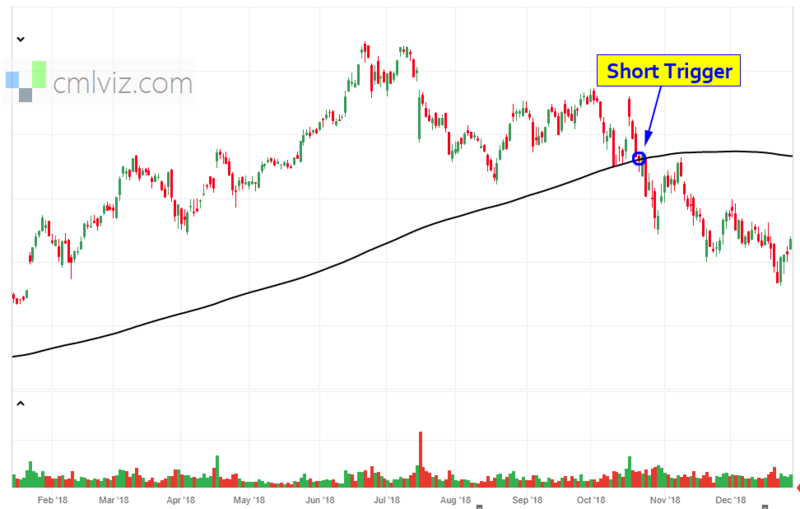 But, even in that time, there is a trigger in Netflix that has preceded stock drops, turning a massive bull into a profitable bearish momentum back-test that has shown triple digit returns on a bearish trade while the stock was up more than 200% -- a complement to a naked long position. The Exact Bearish Trigger in Nvidia. * Use a 30% limit gain. At the end of each day, the back-tester checks to see if the long put is up 30%. If it is, it closes the position. If after 10 trading days the limit has not been hit, the put is closed so not to suffer total time decay. In a period where the stock was up 227%, this bearish position was up 171%. The bearish trigger, in the past, has worked exceedingly well, even during a bull market and makes a complementary trade to being just long the stock. ➡ The average percent return per trade was 71.8%. You can check to see the moment a stock dips below the 200-day MA for NFLX on the Pivot Points tab on www.CMLviz.com.